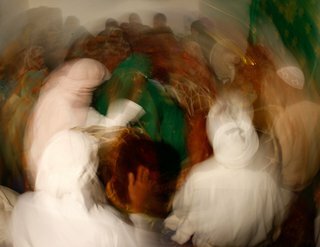 This workshop proposes to examine Zâr and other spirit possession rituals, in religiously and geographically comparative contexts, in both its present and historical manifestations. The performance of possession rituals, and specifically Zâr, is not restricted to a specific religious tradition since, for example, it has been performed by Jews in Maghreb as well as by Muslim in Iran. Geographically, the phenomenon, or a series of related phenomena which fall under the broad designation of “Zâr”, is widespread throughout a variety of regions of Africa, parts of Asia, and later in Europe, and the Americas. Moreover, it has been attested in different historical periods. Although Zâr has been studied closely in different geographical domains by ethnographers, it has been rarely been the subject of systematic, comparative studies. The workshop aims to fulfill this desideratum. For this workshop, we bring together the specialists of Zâr and similar forms of spirit possession, who have studied these rituals in different chronological, religious, and geographical regions in order to explore their historical connections and social aspects.